Is it possible to access my MySQL database from another server? Host: exampledomain.net (before your domain is registered or moved you can use cpanelX.proisp.no, where X has to be substituted with the number of your server). 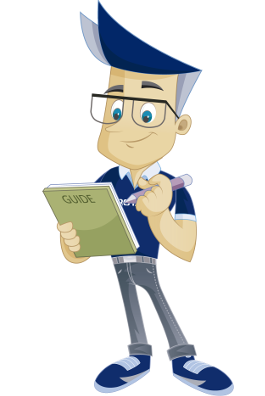 Important: Remember to add the IP of the machine you are using to connect to "Remote MySQL" in cPanel. Here below you can see an example of how to add an IP address that should be able to connect to MySQL. 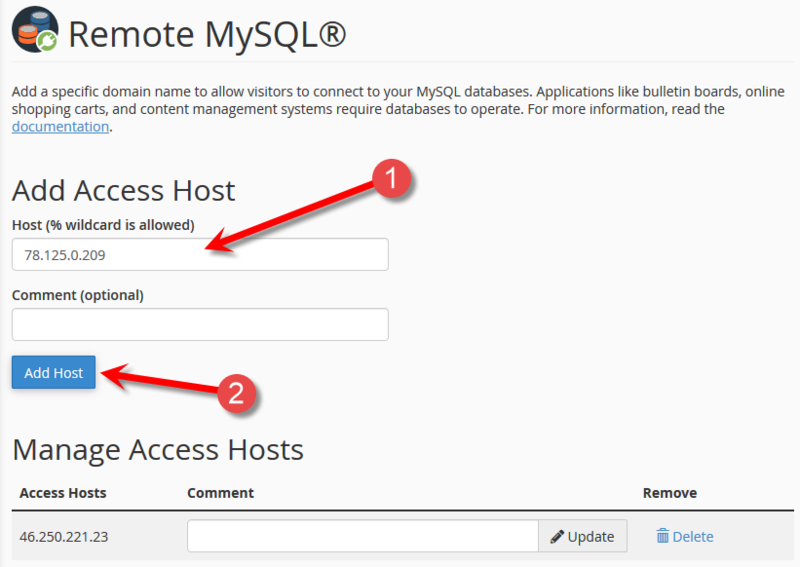 Log into cPanel and click the icon "Remote MySQL". 1. If the IP-address for the machine or server you want to connect to MySQL is 78.125.0.209, this is where you add it. 2. Then click "Add Host". It will now show up under "Access Hosts". The IP of the cPanel server is already in the list of Access Hosts, and it is not necessary to remove this.